state recognized certification programs first emerging in 2001. Within this short timeframe, states have recognized the potential of peer specialists to improve consumer outcomes by promoting recovery. A nearly universal definition of a peer specialist is: an individual with lived experience who has initiated his/her own recovery journey and assists others who are in earlier stages of the recovery process. 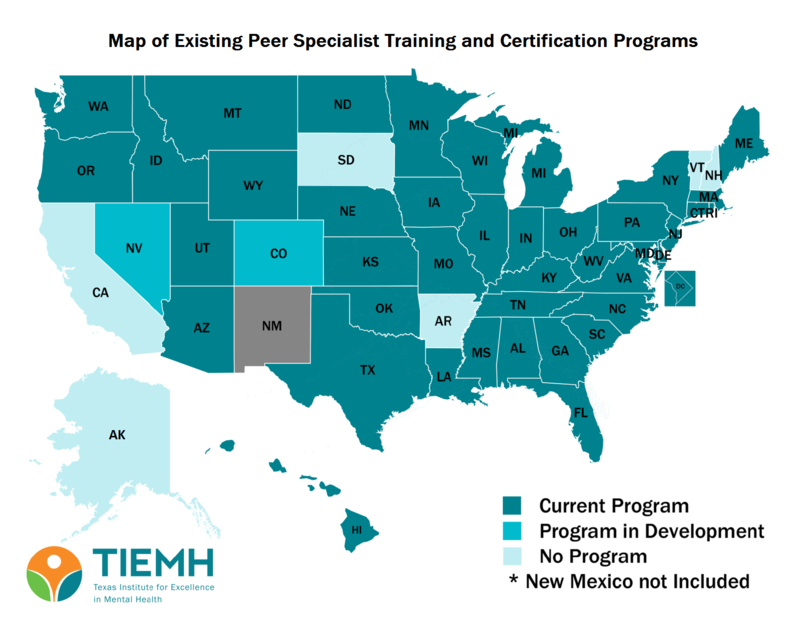 As of July 2016, 41 states and the District of Columbia have established programs to train and certify peer specialists and 2 states are in the process of developing and/or implementing a program. 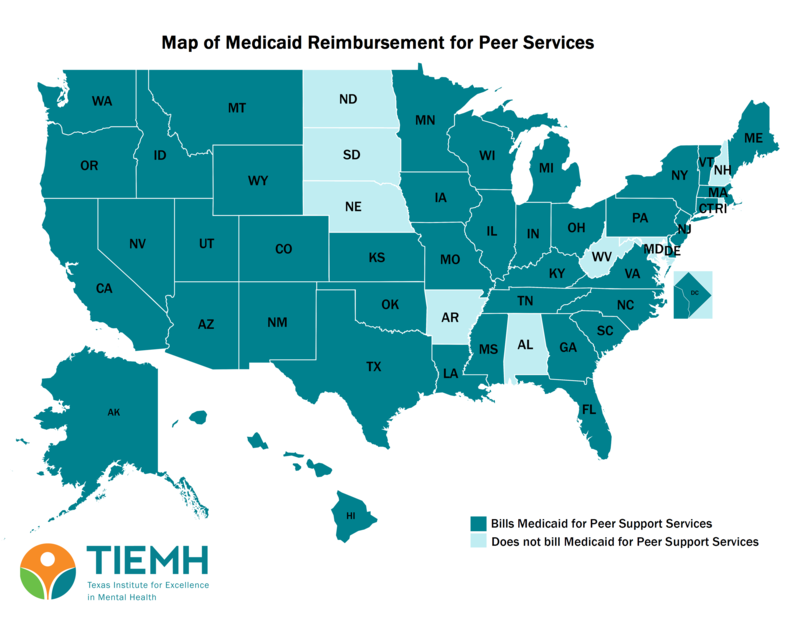 Forty-one states and the District of Columbia bill Medicaid for peer support services. 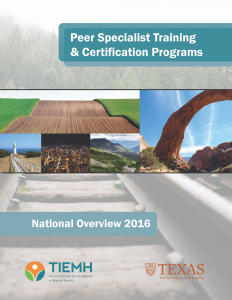 A review of the components of these state peer specialist training and certification (PSTC) programs is needed so that states developing training/certification programs may look to those that are more established for advice and guidance, while established programs may benefit from understanding the similarities and differences between existing programs. This information may also be useful to policymakers and program developers as they create the infrastructure necessary to support the peer specialist workforce to remain relevant and financially sustainable in a changing healthcare environment. Providers employing, or considering employing, peer specialists may also find the information useful in developing appropriate guidelines and expectations for these employees. Peer specialists themselves, or those interested in becoming peer specialists, should also find the report useful in determining requirements necessary to become certified and the competencies of their peers in the field. The information presented in this report is a compilation of information about existing PSTC programs in the United States.